sorry - if there is a simple solution but i need to delete photos from gallery as they are once off sales- how do i do this ? also - why does the photos take so long to upload - i sell on gumtree as well and its quick and easy to upload photos at one time but bob is really very slow- is there a way to make it quicker ? sometimes setting the price range helps . deletion of images is currently not supported. we will introduce a feature where we we will automatically delete older/unused images. If an image is associated to a trade, we typically do not delete an image (especially when a listing resulted in a sale and the image is required for a future warranty/CPA/SNC resolution). With regards to upload duration - this really depends on image size and your connection. 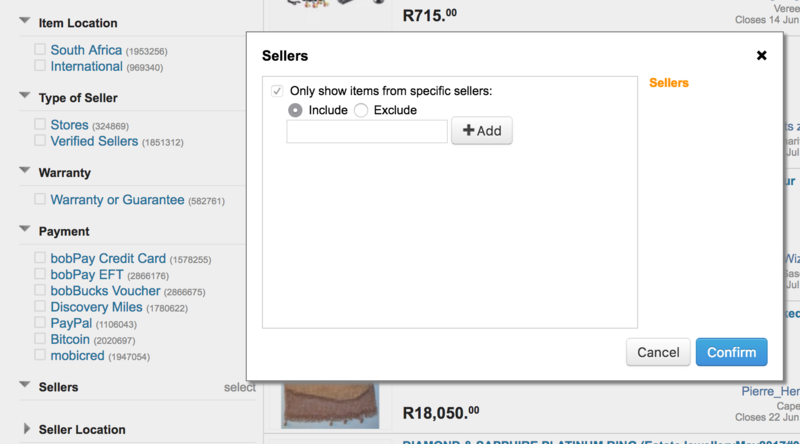 Uploads on bidorbuy happen in parallel and directly to our cloud-provider which has local points-of-presence in SA. If the BulkImageUpload does not show any improvements it would help us if you run a speedtest to verify your speed and then take screenshots of your upload speed, uploading images.